More than a U.S. Navy Sailor, he is your Navy Sailor, full of pride and patriotism for this great nation. Proudly display your most recent photograph from a far off place in unique U.S. Navy Personalized Wood Picture Frame. 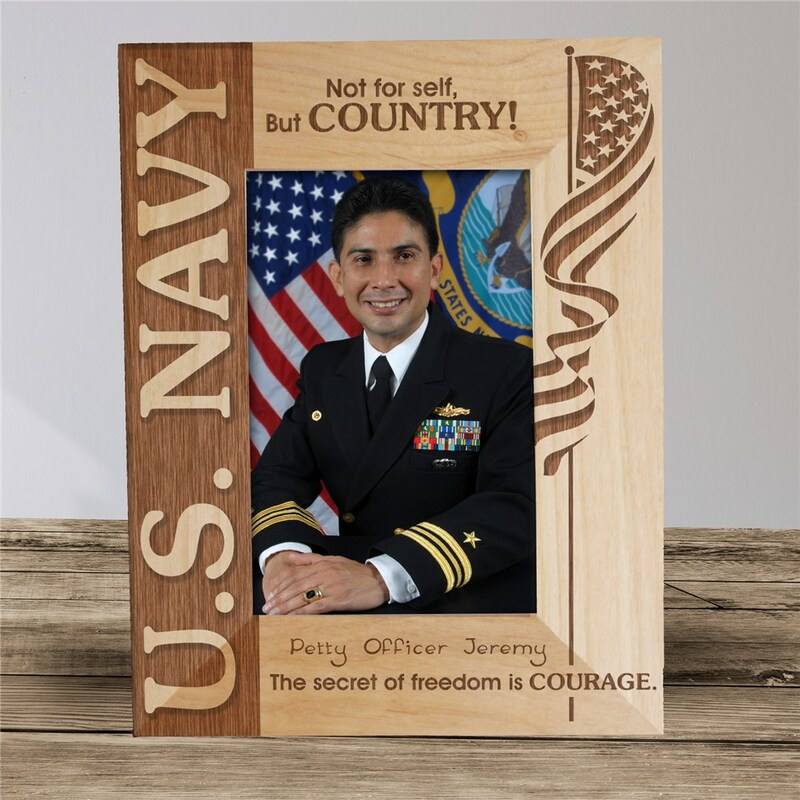 Our U.S. Navy Personalized Wooden Picture Frames measure 8 3/4" x 6 3/4" and holds a 3½" x 5" or 4" x 6" photo. Easel back allows for desk display. Includes FREE Personalization! 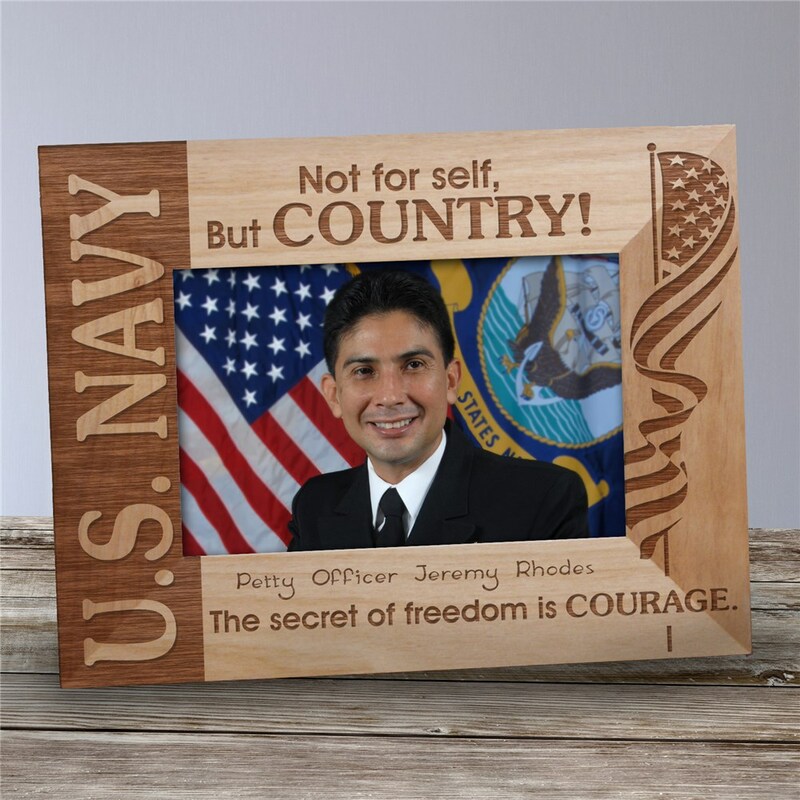 Personalize your U.S. Navy Wood Picture Frame with any title and name. Frame available in horizontal or vertical presentation. The secret of freedom is COURAGE. Frame measures 8 3/4" x 6 3/4"
GiftsForYouNow.com has many Personalized Military Gifts for your favorite Soldiers. Select any of our Patriotic Keepsakes today and we will personalize it for FREE. GiftsForYouNow.com also has a wide array of Personalized Patriotic Gifts for the 4th of July, Memorial Day and Veteran's Day.